Ron and Maggie Tear Photography: Polar Bear pair. 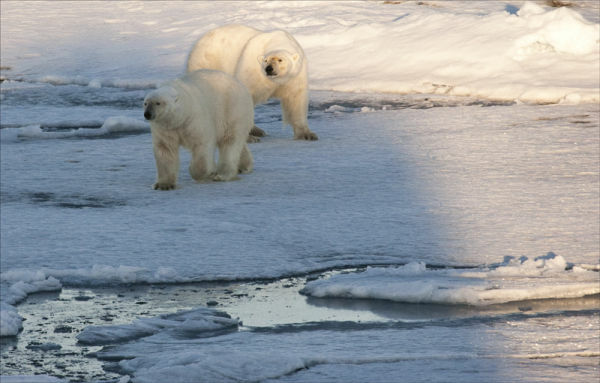 A rare sight indeed, these two Polar Bears were part of a 4 bear group that were around a seal carcass. These huge males gave each other respect and only a few growls were emitted during their attendance with each other. An unforgetable sight !